The International Stroke Conference is one of the most important conventions in the area of stroke, with yearly meetings in the United States of America. The session this year, which was held in February, was of particular interest to Op2Lysis, as many trials in the hemorrhagic stroke area were presented. The MISTIE Phase 3 clinical trial was indeed among the most awaited trial results this year. This study relied on the same minimally invasive surgery technology combined with the administration of a thrombolytic agent that we intend to use for O2L-001 administration. Alteplase was tested, administered every 8 hours for up-to 3 days to liquefy and thus remove the intracerebral hematoma in hemorrhagic stroke patients. The trial benefited from two consecutive presentations by Prof. Daniel Hanley and Prof. Issam Awad in the Main Event Session on February 7th. The study did not succeed in demonstrating a statistically significant superiority in the primary endpoint. The study was designed to show a 13% increase in the number of patients with either no or mild disability 365 days after the stroke event versus control group, but a smaller difference was observed. However, the MISTIE trial showed a very robust correlation between the amount of blood remaining at the end of the procedure and the clinical benefit and lower risk of disability in patients. This is the clinical proof of concept that a more effective reduction of the hematoma volume with this technology can improve the outcome of hemorrhagic stroke patients. Moreover, a favorable observation in death rate and a demonstration of the safety of the procedure were pointed out by the neurosurgeons. Very positive feedbacks were relayed in the medical press, which underlines the very encouraging results that were applauded by the attending medical community. Altogether, the MISTIE 3 trial results suggest best chance of success for the Op2Lysis technology, as it is tailored to provide better/faster reduction of hematoma volume, reduced risk of re-bleeding and reduced risk of neurotoxicity. These 3 attributes should contribute together to the clinical success of O2L-001. To address the yet uncovered medical need for hemorrhagic stroke patients, our plan is to enter clinical stage of development in the next 2 years. 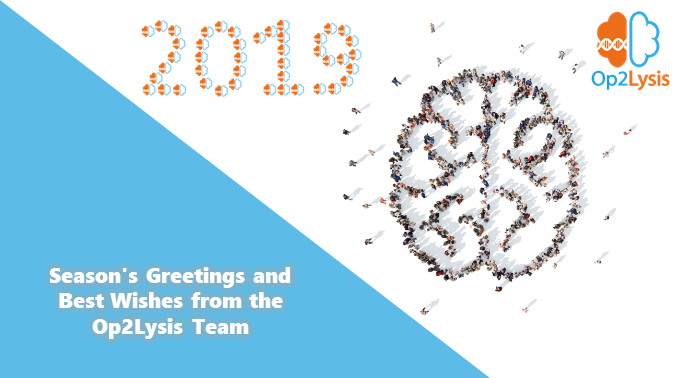 Op2Lysis will attend again the International Stroke Conference, which will take place on from February, 6th to February, 8th. The International Stroke Conference is one of the most important meetings dedicated to the science and treatment of cerebrovascular diseases and stroke. Many topics will be adressed, including clinical trials ; emergency care ; acute neuroimaging ; endovascular treatment; and post-stroke rehabilitation. 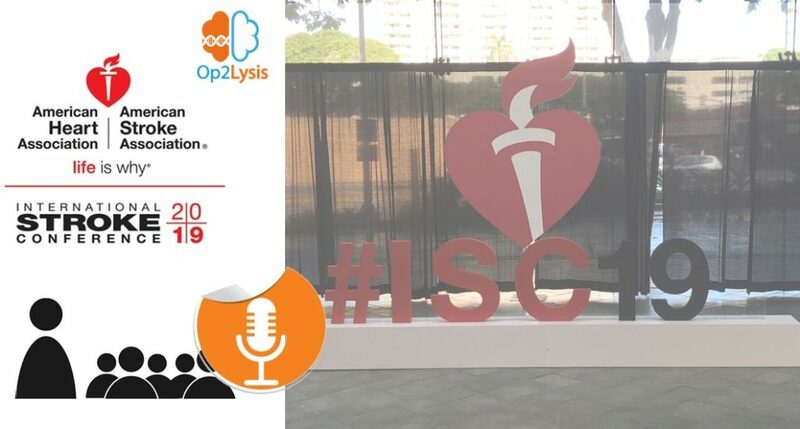 The hemorragic stroke area will be of paticular interest at ISC 2019, as the results of the MISTIE III study (with alteplase in a minimally invasive surgery procedure) and those of the iDEF study (with deferoxaline) will be presented. Through this mini-series of articles, we want to present you our whole team and skills of each. Marie-Julie, can you introduce yourself briefly ? I am in charge of Op2Lysis translational studies and regulatory affairs. Chemist with a Master 2 in pharmaceutical and biomedical engineering, I pursued my education with a PhD and I graduated from Université catholique de Louvain (Brussels, Belgium) in April 2018. During my PhD, I worked on the development of an innovative mucolytic agent for Cystic Fibrosis. I was fully in charge of conception and execution of pre-clinical studies as well as of data interpretation. During my training, I also benefited from a US research experience. I worked in pharmaceutical development in a biotech company based in Cambridge, MA. Why did you choose to join the Op2Lysis team? I was very pleased to join Op2Lysis. The project is in all respects consistent with my education and my wish to be part of an innovative project responding to a major medical need. Moreover, the company values are in line with my vision of the professional environment in which I want to evolve. What is the strength of the technology developed by Op2Lysis? The strength of Op2Lysis is based on the multidisciplinary skills of each fellow. Our wide knowledge of hemorrhagic stroke, of our product as well as of innovative solutions for precise medical needs are the foundation of our project. What is your personal contribution to Op2lysis? I am in charge of the pre-clinical development of our product as well as of the regulatory activities related to its future registration. My professional experiences helped me develop skills in project management and in pre-clinical studies. The diversity of fields I have dealt with allows me to quickly integrate and become invested in the aspects of the project entrusted to me. Op2Lysis progress in 2018 was very promising. Here are computer graphics, which summarize the most relevant facts that were shared over the year. Op2Lysis was at Biofit 2018 on December 4-5, in Lille. Op2Lysis was invited to present the company’s project at the start-up slams session. This was also the opportunity to meet and discuss with many patners, investors and preclinical or clinical research organisations. Technical and financial aspect of our development project could be shared. 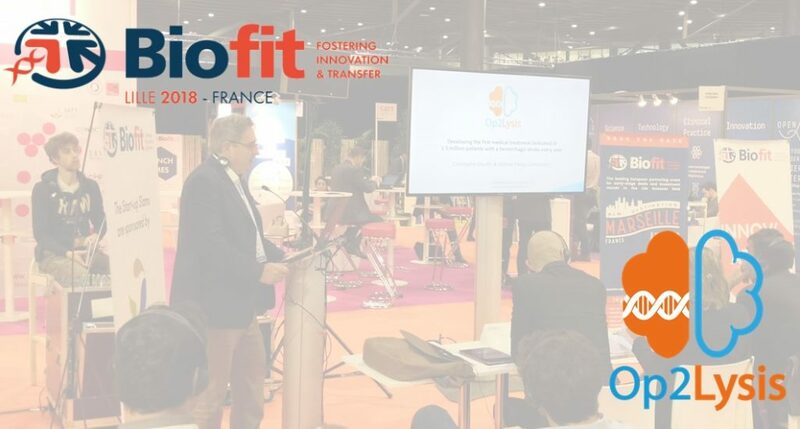 Biofit is an international business convention organized every year in France and specifically dedicated to technology transfer, academic-industry collaborations and early stage innovations in the life sciences. The goal is to increase the flow of patent trades and to foster the emergence of innovative products, processes and services in the field of life sciences. Biofit helps the biotechnology community to share newscientific knowledge, to promote innovation and to detect and seize new marketopportunities, by connecting many international players in the field of humanand animal health. A partnership agreement has been signed by Op2Lysis with Inserm research unit U1237 and University of Caen. This academic laboratory is focused on stroke research, from research on pathophysiological mechanisms to the identification of innovative therapeutic options. 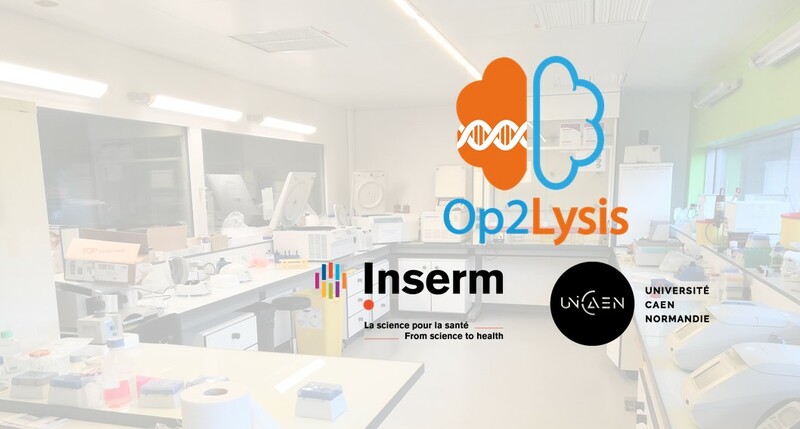 This partnership is the logical next step, as it follows research activities leaded in this research unit over more than 10 years by Jérôme Parcq, cofounder of Op2Lysis. The resulting share of human and technological assets will help moving forward O2L-001 development towards clinical stage, and will allow initiation of new research programs. 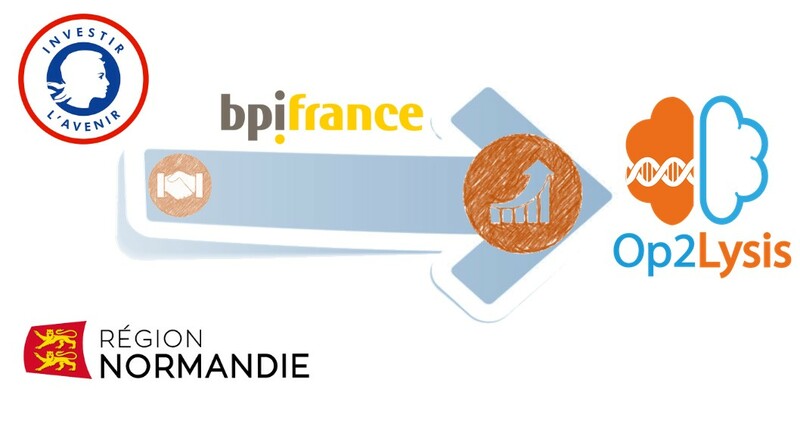 Op2Lysis has obtained a M€ 0.5 grant, following the « Innov Avenir Entreprises » call for projects, which was lauched by the Government and by the Normandy Region as the third round of the Programme d’investissements d’avenir (PIA). This grant will fund almost 50% of the budget to set up a pilot for production and purification of O2L-001, including development of a stable cell line to express O2L-001, which is a key step in the development plan of our drug candidate to treat hemorrhagic stroke patients. This award reflects the increasing support from the Government (through the DIRRECTE), the Normandy Region and bpifrance (which appraised our application) to progress towards the preclinical regulatory development phase and submit a Clinical Trial Application Form in Europe and an IND in the US in the next two years. The application of Op2Lysis was granted on last October. This membership will allow us to benefit from the network of France Biotech and will give us the opportunity to contribute as well. Thierry Sempere, who was recently appointed as new President of WICAP Op2Lysis, the holding that represents all WiSEEDers who invested in Op2Lysis within the crowdfunding campaign for the first round of fundraising, will join the Strategic Committee of Op2Lysis for its next meeting, in replacement of Alexis Nogues. 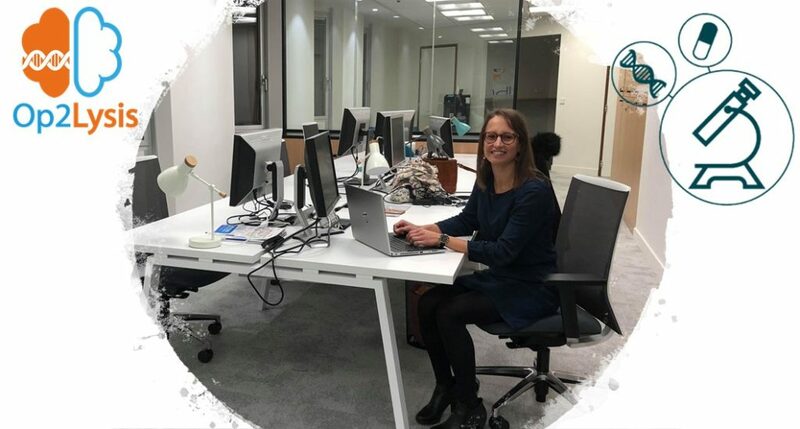 The professional background of Thierry in the pharmaceutical industry, which includes a sound international operational experience, will bring a strong contribution to the Strategic Committee, in complementarity with other members. We welcome Thierry in this new assignment, and we thank Alexis for his contribution to our project. The 6 members of the Strategic Committe of Op2Lysis are now the following persons : Patrick Cassagne, Christophe Gaudin, Philippe Monteyne, Jean-Claude Muller, Jérôme Parcq et Thierry Sempere.